OAKVILLE, ONTARIO - On behalf of the Minister of Health, Rona Ambrose, Parliamentary Secretary, Eve Adams, Member of Parliament for Mississauga - Brampton South, Ontario today reminded Canadians to choose wisely this holiday season when shopping for toys for children and to keep injury prevention top of mind. For the period between June 2011 and November 6, 2013, for children under the age of 12, Health Canada has received 185 incident reports related to toys, 10 reports related to children's jewellery and 37 reports related to children's sporting equipment. "The holidays are a time for family and fun, and it is often a time when many new toys come into the home," said Parliamentary Secretary Eve Adams. "We are urging all parents to be mindful of toy safety while shopping this year to ensure a safe and fun holiday season." said Parliamentary Secretary Adams. "Holiday fun should never end due to the tragedy of a preventable injury. Our children deserve to spend their holidays safe and filled with joy," said Louise Logan, President and CEO of Parachute. "We support the Government's ongoing efforts to improve toy safety and to promote these important injury prevention messages for Canadian families and caregivers." Remember to check the Government of Canada's Recalls and Safety Alerts Database to see if a toy has been recalled. Once the toys are at home, parents and caregivers should continue to be vigilant. For example, toys should be checked often for hazards like loose parts, broken pieces or sharp edges and any weak or damaged toys should be repaired or discarded. All toy packaging, such as plastic wrap, foam, staples, ties and temporary plastic films should be removed and thrown away. 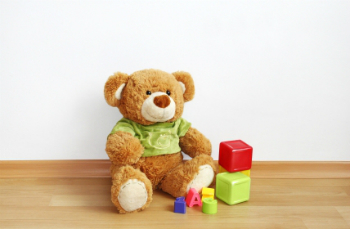 For more information, please read Health Canada's guide to toy safety Is Your Child Safe? - Playtime. If consumers experience a health or safety incident with a toy they have in their home, they should report it to the manufacturer or the retailer it was bought from. They can also report incidents on Health Canada's website.